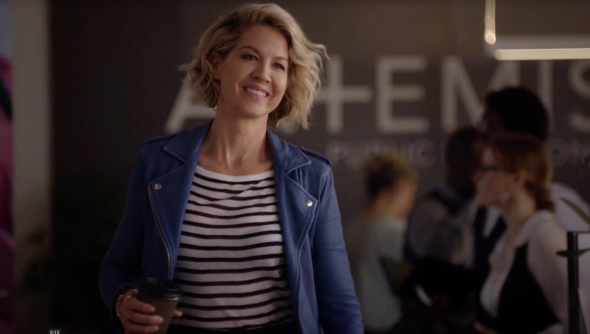 “You have no idea what you’re doing at all, do you?” ABC has released a new preview of their upcoming Jenna Elfman series Imaginary Mary. The comedy follows Alice (Elfman), a kid-phobic woman who reunites with her childhood imaginary friend (Rachel Dratch) when she moves in with her boyfriend and his children. What do you think? Are you a fan of Jenna Elfman? Will you watch Imaginary Mary? More about: ABC TV shows: canceled or renewed?, Imaginary Mary, Imaginary Mary: canceled or renewed? Awful show. Couldn’t make it thru the first episode. WHY IS IT THAT SOME SHOWS GET CANCELED BEFORE THE PILOT IS EVEN AIRED ? You had me at Jenna Elfman. Say no more….. It’s been way too long since Dharma. I had a big crush on Jenna wen she was Dharma, i love the way she acts, she is so funny, and has a cuteness about her. Please come back to TV Jenna, cant wait for Imaginary Mary! Love Ms. Elfman! Of course I’ll watch!